Oh, you don’t like pies? How much are you lying right now? 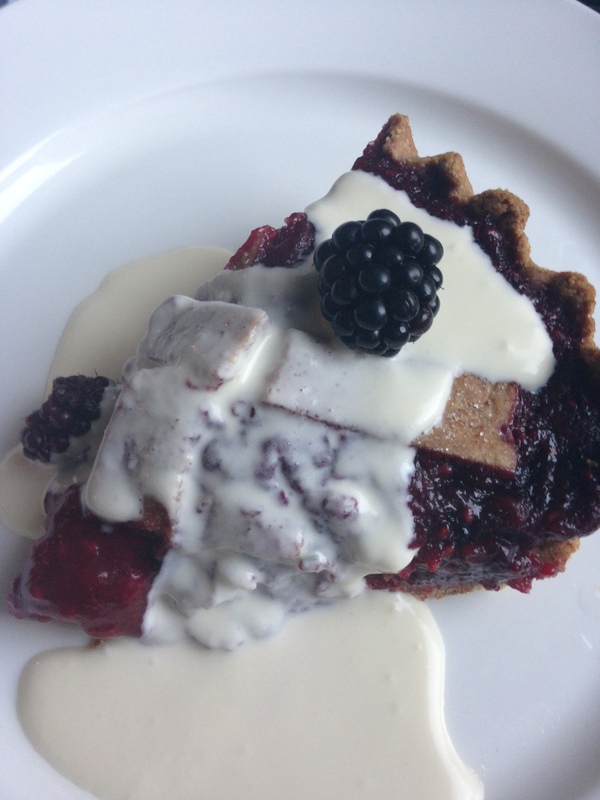 Have you heard of razzleberry pie? 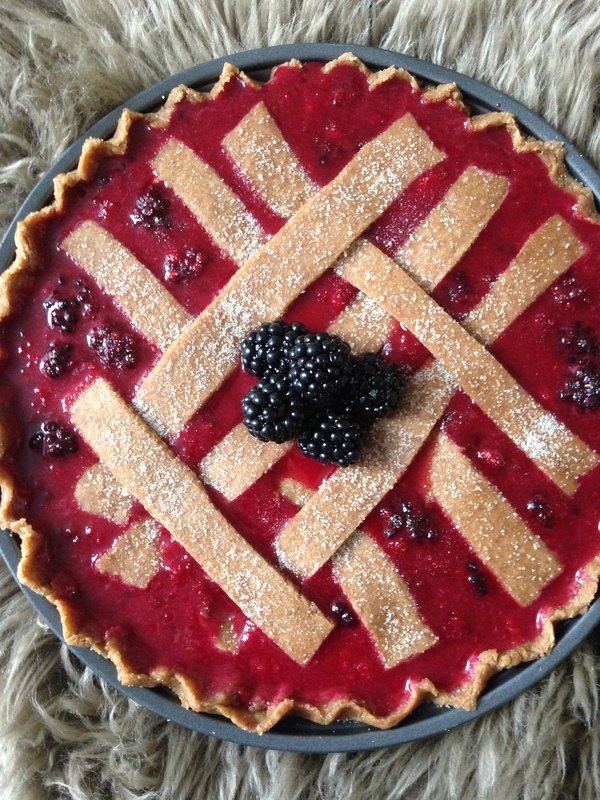 Put in adult language, razzleberry pie is raspberry and blackberry pie. 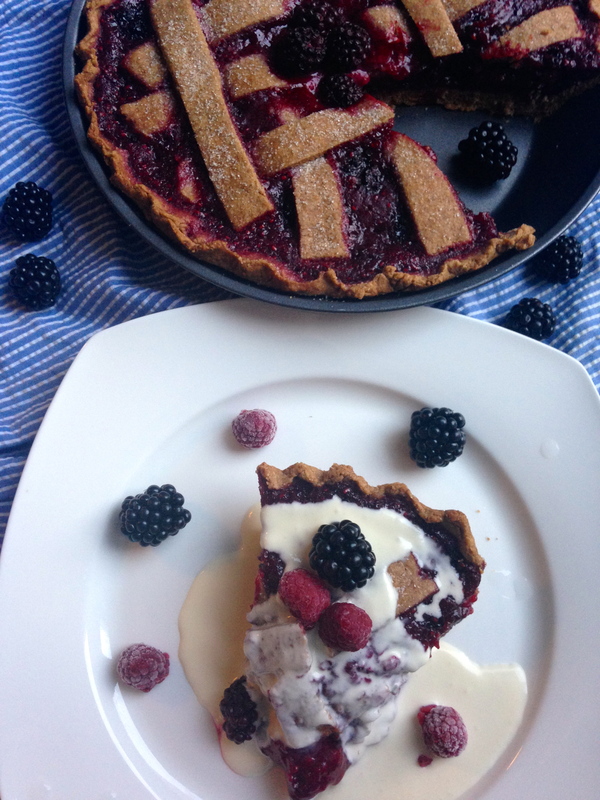 I wanted to make this pie while I could still call blackberries and raspberries seasonal fruits. And so I did. This pie surpasses a regular pie in that its crust is made with whole-wheat pastry flour and the filling is mainly fresh (or frozen) organic berries. It’s deliciousness is bound to put a smile on your face. Rockaberry’s wishes it could serve this pie 🙂 Sadly for them, this pie is home-made from head-to-toe (or from crust-to-filling). Plus, it’s “easy as pie” to make. Side confession: I pondered making the typical vegan cake/pie crust with nuts, dates and coconuts but wanted an authentic pie feel, hence the flour-based crust. Wink! 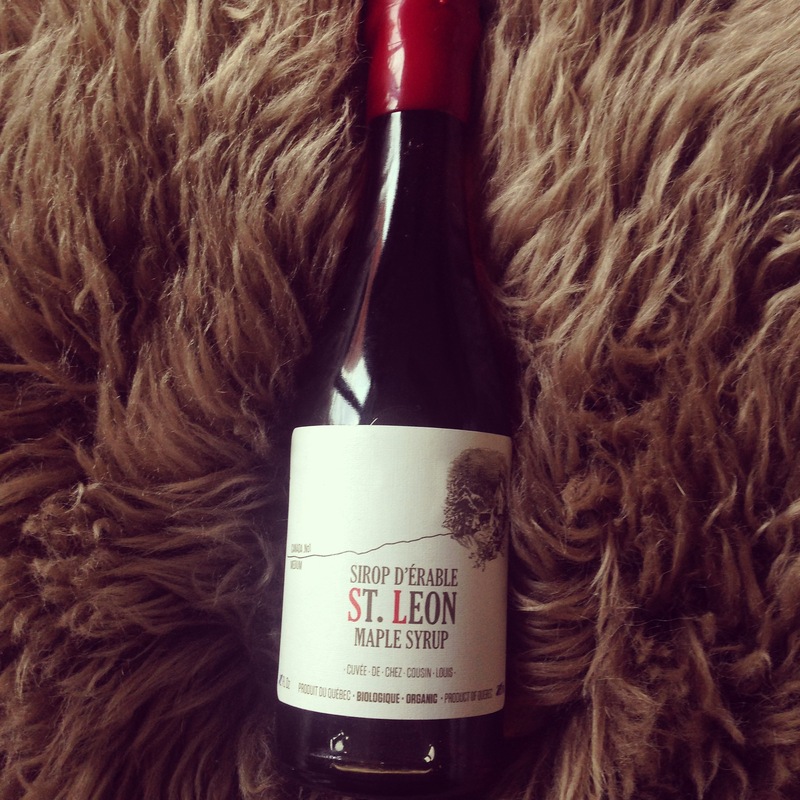 Local and organic St. Leon’s maple syrup. This is quality! Prepare the filling. Add berries, Earth Balance, salt and sugar into a pan and heat over medium heat. Use a fork to mash the fruit. Let simmer. Add the apple cider, arrowroot powder, whole-wheat pastry flour and maple syrup to the filling-containing pan. You will notice the filling thickening as it cools. Next, prepare the crust. Mix all ingredients for the crust in a food processor. Or, combine all dry ingredients in a bowl, combine all wet ingredients in a bowl, and then add the wet ingredients to the dry bowl. Add water/flour to adjust your dough’s texture, as needed. Roll dough into two balls (1 for crust, 1 for weave). Roll both balls out into flat circles using a rolling pin. For one of them, cut into strips as it will serve for the weave. Add crust to the base of a greased pie dish. Add filling to pie crust. Add weave to top of filling. Sprinkle with sugar before baking. Bake for 30-40 minutes or until crust turns a perfect shade of brown. Allow to cool before slicing and serving. Top with vegan ice cream, vegan whipped cream, cinnamon and berries for decoration. This pie blows minds. It’s overflowing with berry goodness, is a 6 out of 5 star recipe and kindly satisfies your pie cravings. It’s great for entertaining, surprising your colleagues on Monday morning or simply for low-key family din-dins. It also tastes like something my grandmother would make 🙂 I guess this means I’m ready to be a grandma , tee hee (might be skipping a few major life steps here haha). Indulge in this berry explosion!